With a pace that screams old-school horror, Pet Sematary takes its time to build to a high level of intensity. This throws down the gauntlet to current horror fans who are used to a constant flow of frights from the first frame on. The film does its best to keep you on the edge of your seat with its deliberate pace. It also rewards fans of the original film with moments like a delicious bait and switch scene that was as self-referential as it was fun. The actors are given slow burn roles and in particular Jason Clarke’s turn from sensible family man to shrunken eyed loon is a hoot. The transition of daughter, Ellie (Jeté Laurence) is also arresting. 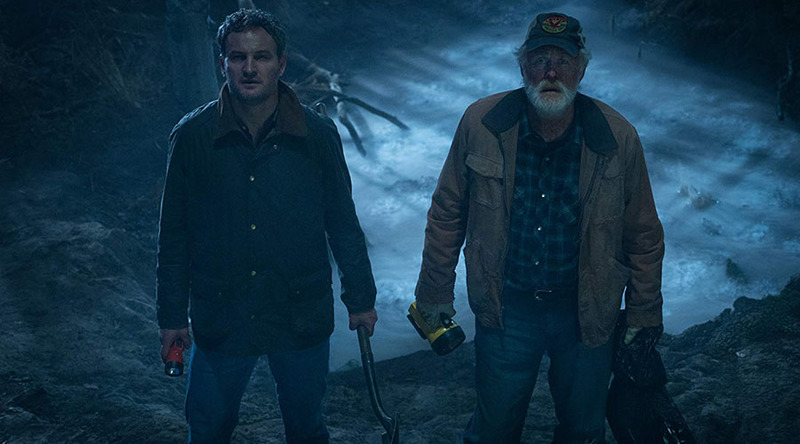 For those with a good working knowledge of the basic storyline, via both Stephen King’s book and the original film, there are few major changes in that respect. If it is isn’t broken, don’t fix it. The gore is held to a minimum as well, so when it does arrive it has way more impact. Pet Sematary sets a tone and pace that is properly creepy, not a blood spattered endurance test. It’s entertaining and not overly threatening and can form the basis of a great fright night, but be forewarned, afterwards you will never see your house pet quite the same again.